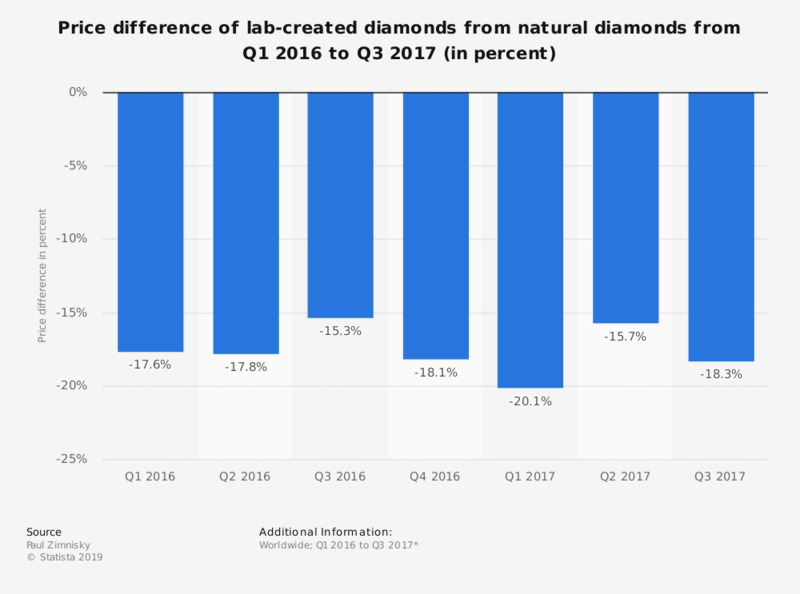 This statistic shows the price difference between synthetic/lab-created diamonds and natural diamonds from the first quarter of 2016 (Q1 2016) to the third quarter of 2017 (Q3 2017) in percent. In the second quarter of 2017, lab-created diamonds cost some 15.7 percent less than naturally occurring diamonds. * Q3 2017 figure is as of August 24, 2017 rather than at the end of the third quarter of 2017. Data was gathered by sampling online retailers beginning at the end of March 2016. The discount percentages are based on the prices of lab-created diamonds compared to the equivalent natural diamonds during the same time period in U.S. dollars.